Many years ago, over a long Thanksgiving holiday, I picked up a copy of Shirleen Dodson's book, "The Mother-Daughter Book Club" and became energized around the idea of starting a club for my daughter's 4th grade friends and their parents. 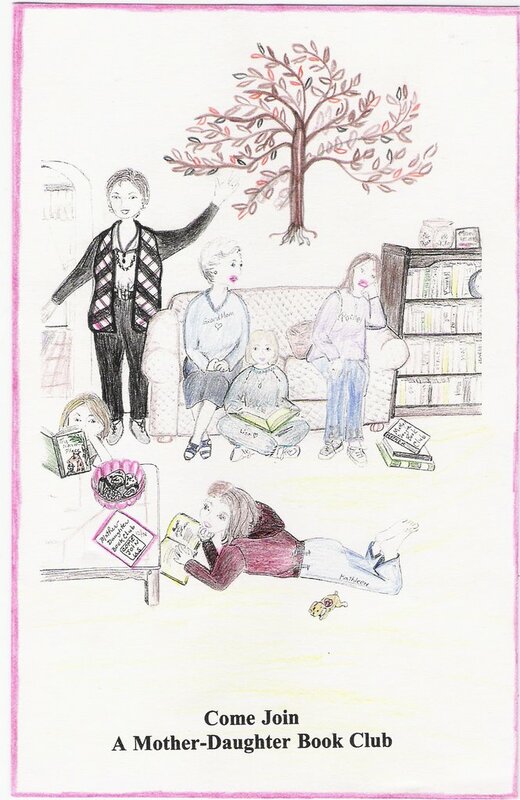 First, I drew a picture of my living room couch and bookshelves, then sketched in my daughter, her friends, and her GrandMom. That "artwork" became our invitation, thanks to our local copy shop. Today, it would have been so easy to simply digitize at home and send an e-mail invitation. Ten years ago, only one other Mom had an e-mail account. We had a wonderful learning and bonding experience over the course of five years, grades 4-8. Tech-savvy tall people would have made communicating much easier, so when asked to give a workshop on what technology could be added today, I agreed and created a hotlist for resources related to running a Mother-Daughter (or Tall-Small) Book Club, using some of today's cool technology tools.